Since I love to eat, I decided to have a blog solely for my food post. To start off, let me take you to DFAT 2013. I was very lucky to be part of the Davao Food Appreciation Tour 2013. 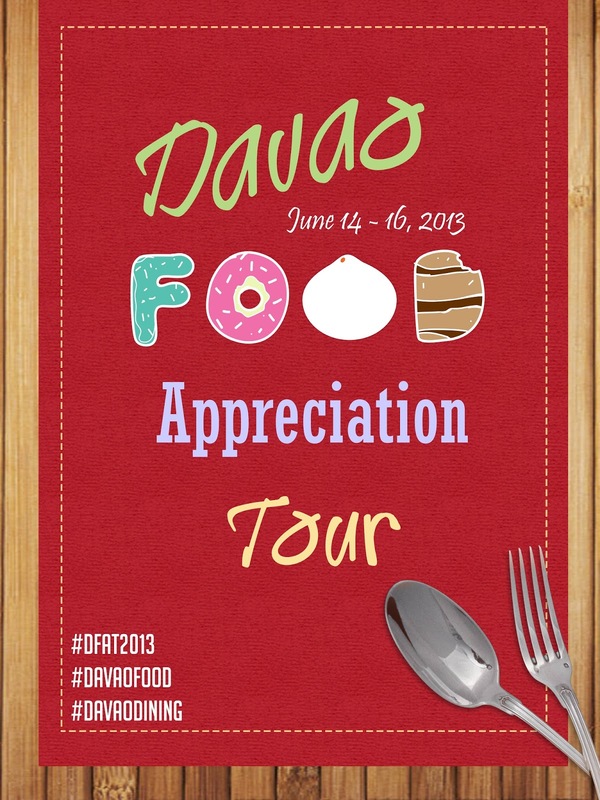 DFAT started in 2008 and became a yearly blogging event that brings together bloggers to tour Davao and try its various gastronomic delights. I would like to thank the organizers and sponsors for a successful event. Looking forward to DFAT 2014. Stay tuned to post from the tour.